The Oye Reversible Durag released January 1st 2018, was inspired by Enoch Oye, the little brother of the CEO Tolu Oye. Who grew up viewing the durag as a symbol of black power. Oye would like to present to you our 2018 Winter Visuals entitled "Mirror." Highlighting Enoch Oye as he grows up in a close-knit black community, which molded him to become the older version of himself, he dreamt to be, modeled by Mamadou Djigo. 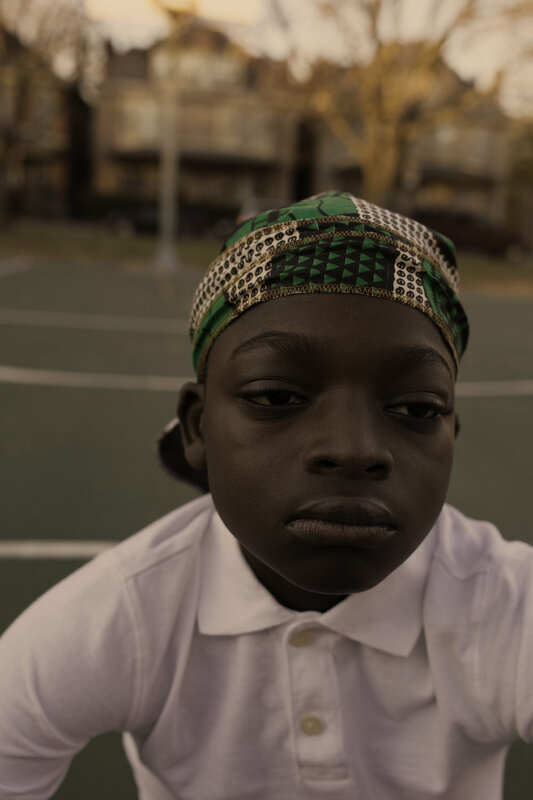 Photographer Stephen Collier captured the importance of reflection, growth and becoming of age as a young black man from childhood to adulthood. He depicts the importance of cultural values within our society. In a time of international disconnect, Oye connects Africa and America through street style. The Oye Durag is reversible, with one side as a bold green African Ankara Print that connects the brands Nigerian roots. The other side is a black nylon material, similar to traditional durags. In a time of international disconnect, Oye connects Africa and America through street style.